Does it seem like garbage disposals are getting fancier? The advances in technology design that have led to sleek-looking cell phones and other electronics have found their way into other things, like home appliances. The iRees MX200 garbage disposal is one example of this. 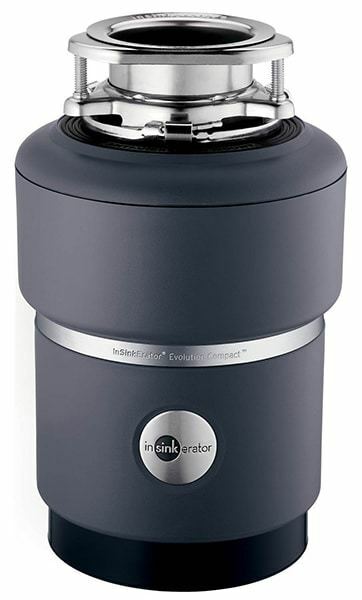 This garbage disposer has a rounded bullet-like design that looks incredibly modern. The real question is – how well does the iRees MX200 work? Is the installation process easy? What about the noise level when the machine is running? I’ve examined this garbage disposal, tested it out, and thoroughly looked at every detail in order to produce this review for you. The iRees MX200 garbage disposal has 5/4 (also known as 1.25) horsepower motor. It’s designed to handle things like chicken bones, stalks, and shells, all of which I wouldn’t out down a standard disposal, as they would clog it up. Thankfully, the iRees has a powerful motor that can handle these items. I don’t have to throw away as much food waste as I did before. Overall, the iRees MX200 is fairly lightweight and compact. It measures 18.1 inches long by 9.8 inches wide and 10.2 inches high. 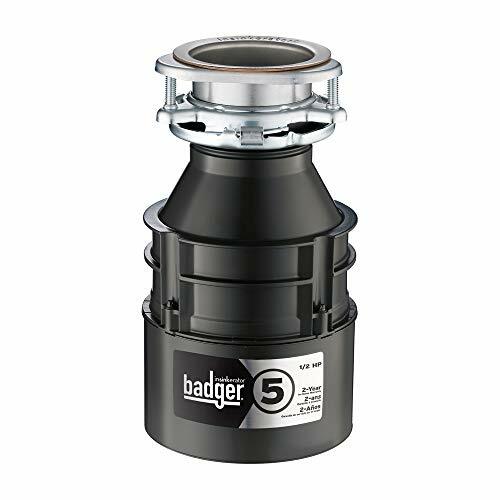 While it isn’t the absolute smallest garbage disposal on the market, it is on the compact side. It’s also very light, as it weighs in at 12.9 pounds. This means that you won’t have to worry about it putting any pressure on your sink or under sink plumbing. Some heavier garbage disposers are prone to causing a bit of damage over time, especially if they aren’t anchored to the sink properly. This garbage disposal, the iRees MX200 is a continuous grind model. This means that I can place food waste in it, turn it on, and then carefully (very carefully at that) feed more scraps into it. 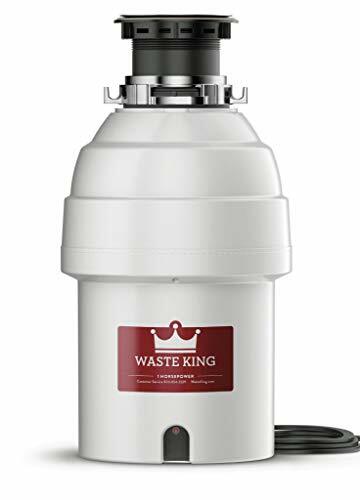 The other type of garbage disposals, batch feed models, require you to place your food waste in them, plug them, and then turn them on – and they work best when the disposal is full. While you wait for the disposal to fill, the food just sits in it decomposing. Since the iRees has continuous grind features, this isn’t an issue. The motor of the iRees MX200 garbage disposal turns at 2600 RPM or rotations per minute. This is pretty powerful, and I found that it’s crushing abilities were quite impressive. The motor uses a permanent magnet design that keeps it in control when it’s turned on and spinning. It operates using a handy wall switch. The plug operates at 120 volts, which will save you money over time, as it doesn’t require a lot of electricity to run. On top of this, the iRees MX200 comes with a one-year limited warranty. The manufacturer stands behind their equipment and isn’t afraid to guarantee it for that time period. If anything should go wrong, simply follow the instructions that came with the device and contact the company. They’ll let you know how to proceed from there. The iRees MX200 was designed to be easy to install. The company that manufactures it – iRees – produced a YouTube video that shows just how easy their patented “twist off and then twist on” installation really is. 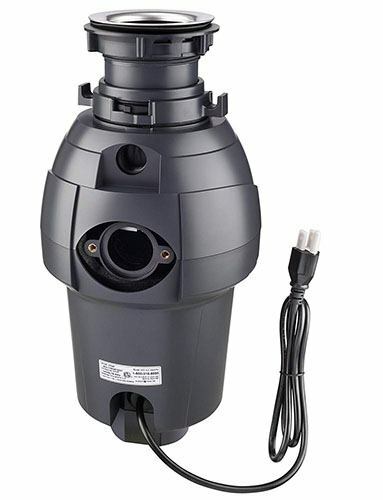 On top of that, this garbage disposer comes with the power cord preinstalled, so you won’t have to worry about finding a separate power cord that will work with the device. On top of this, the mounting system (which is dishwasher compatible) is preinstalled. I had to put the MX200’s cushion mount into place, after removing the old disposal, of course, and then put this one into place. It’s designed to fit most sink flanges. Keep in mind that if you’re completely unfamiliar with plumbing and how pipes connect, then you should probably call in an expert to have the iRees MX200 installed. However, if you get the gist of basic plumbing, then you won’t have a problem. This garbage disposal is really that easy to install in your kitchen. The noise levels of the iRees MX200 were impressively quiet. Although I couldn’t find any information about the decibel level that it should be operating at, I can attest that I was able to hold a conversation in the room while it was running. The marketing department for this device decided to use the words “ideal if you have babies” to describe just how quiet it is. I found this to be very accurate indeed. Their reasoning is that if you have very young children and want to run the disposal while they’re napping, you need one that’s very quiet. These statements are accurate, thanks to the very quiet, yet efficient, motor. Overall, my experience with the iRees MX200 was very positive. I tested it out thoroughly to monitor the noise levels and the grind experience. This home appliance worked well and was incredibly quiet. The installation process was as simple as the company claimed it to be, and I had no issues getting it mounted, even though I have a dishwasher. (Yes, this device is designed to be dishwasher compatible, but that doesn’t mean that the installation isn’t slightly difficult, as it is with other appliances.) Not only is the iRees well-designed and sleek-looking, but it also didn’t put too much pressure on my pipes and it worked as described. 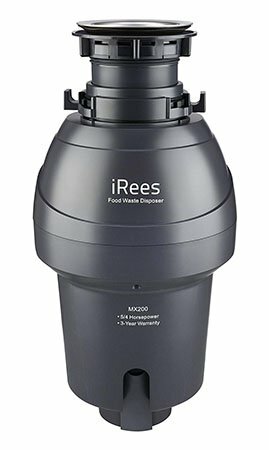 The iRees MX200 is a very efficient garbage disposer. It will grind up food waste, take care of things like chicken bones and shells (both of which shouldn’t go into standard, slower disposals) and it looks nice under my sink. This disposal does the job and then some. I’m happy with its quiet motor and easy installation process. All in all, I highly recommend this disposal. The iRees MX200 is made by a fairly new company, so it lacks brand recognition, but that’s no reason to avoid it. I was pleasantly surprised after I took a chance on it.